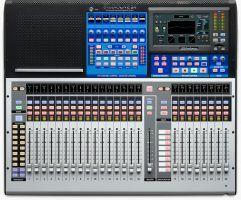 PreSonus' new 24-channel StudioLive 24 digital console/recorders further extends the company's third-generation StudioLive Series III line, which launched earlier this year with the 16-channel StudioLive 16 and 32-channel StudioLive 32. 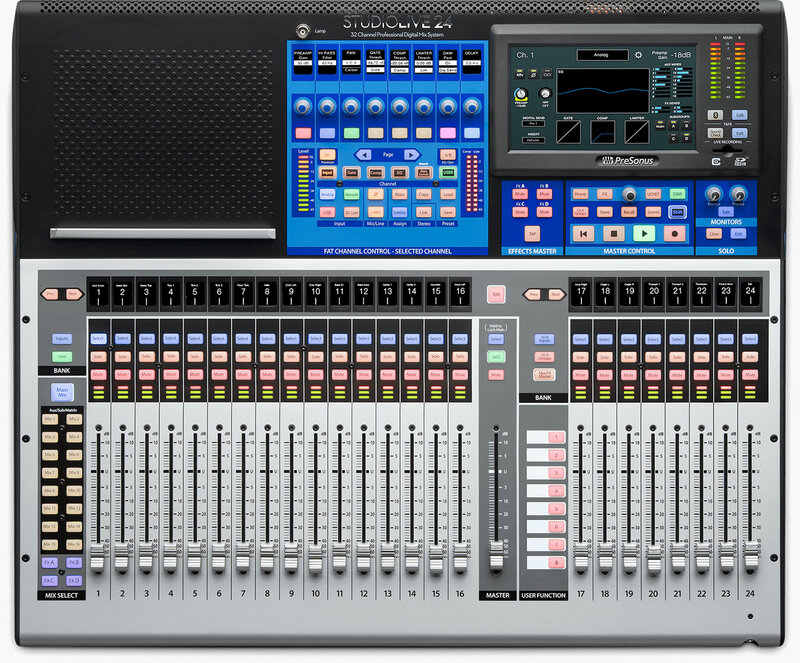 Like all Series III consoles, StudioLive 24 further improves on the StudioLive's ease of use while letting you customize workflow and operations to fit the way you work. PreSonus Capture multitrack recording software with virtual soundcheck is installed directly into the StudioLive 24 console so you can leave your laptop at home. Record up to 34 tracks to the console's onboard SD recorder. When finished recording, open your Capture session in Studio One Artist for Mac and Windows (included), and the entire mix scene will transfer to your Studio One session, including fader levels and Fat Channel settings. As with other StudioLive Series III consoles, the StudioLive 24's distinctive Fat Channel processing section presents a plug-in-style workflow that features vintage-style EQ and compression options on every channel, from classic tube limiters to passive EQs. In addition to channel processing, you get 6-band, fully parametric EQ on all mix outputs. 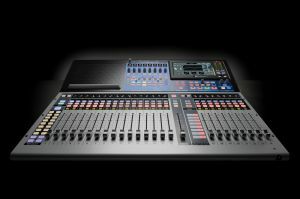 StudioLive Series III goes above and beyond in providing ways to customize things to best fit the way you work. User layers for the channel faders let you place any channel, DCA master, or bus fader anywhere you want—and they're easy to set up. You can customize your Fat Channel layout, putting the parameters you care about most right at your fingertips, and there are several workflow options to personalize your mixing experience. Scenes can also be extensively customized, including a Scene Safe feature that prevents a scene change from altering the settings on designated "safe" channels. Similarly, Fat Channel presets have, for practical purposes, become like scenes for individual channels, not only saving input and Fat Channel settings but also aux send and bus assignments. Of course you can also use preset filters to choose what you want to recall. An AVB Ethernet connection enables you to network compatible computers and stream up to 55 channels of audio to and from a Mac or Windows PC. (AVB networked solutions, including stage boxes, personal monitor mixers, and increased third-party AVB interoperability, are coming later in 2017.) You also get 40x40 recording via USB 2.0, giving you a choice of computer recording methods. A separate 1 GB Ethernet port can connect to a wireless router or directly to a computer for remote control of virtually all features via a wired or wireless connection. 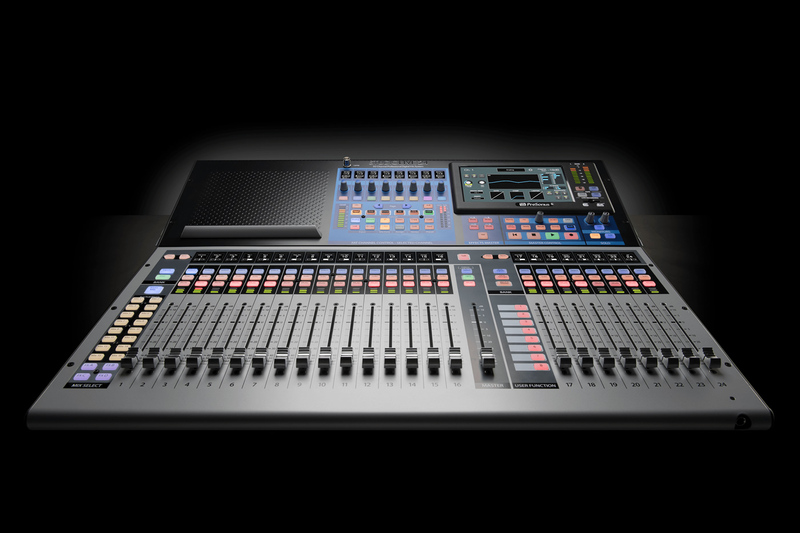 PreSonus StudioLive Series III mixers are tightly integrated with an entire suite of state-of-the-art software. Mix wirelessly or over a wired network from anywhere using free UC Surface touch-control software for Mac, Windows, and iPad. Add a second, third, or even fourth screen for fast workflow. Remote control the mixer's recallable XMAX preamps and Fat Channel processing with Studio One Artist (included) for low-latency recording with effects. Completely automate virtual soundchecks and record shows with Capture for Mac and Windows (included) —or record with Studio One or with any software that supports ASIO or Core Audio. Musicians can control their monitor mixes onstage with free QMix -UC for iPhone, iPod touch, and Android devices. You also get the Studio Magic Plug-in Suite for Mac and Windows, which includes seven popular plug-ins in VST, AU, and AAX formats.